Cushion Bolax is a bizarre plant that has foliage that looks soft but is actually hard and brittle. It will slowly creep and will form a mound. It will grow to a height of 1" to 2" tall and 6" to 8" wide. It will produce tiny yellow flowers in midsummer. This plant needs good drainage and can be planted in full sun to partial sun. 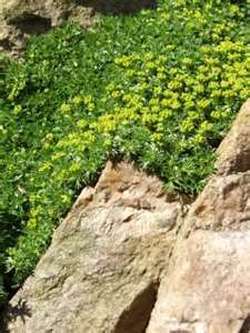 Plant Cushion Bolax in a Rock Garden, Alpine Garden, as ground cover, in between flagstones, or looks interesting in a mixed container. Cushion Bolax is drought resistant once it is established and is deer resistant. This plant is native to the Falkland Islands.